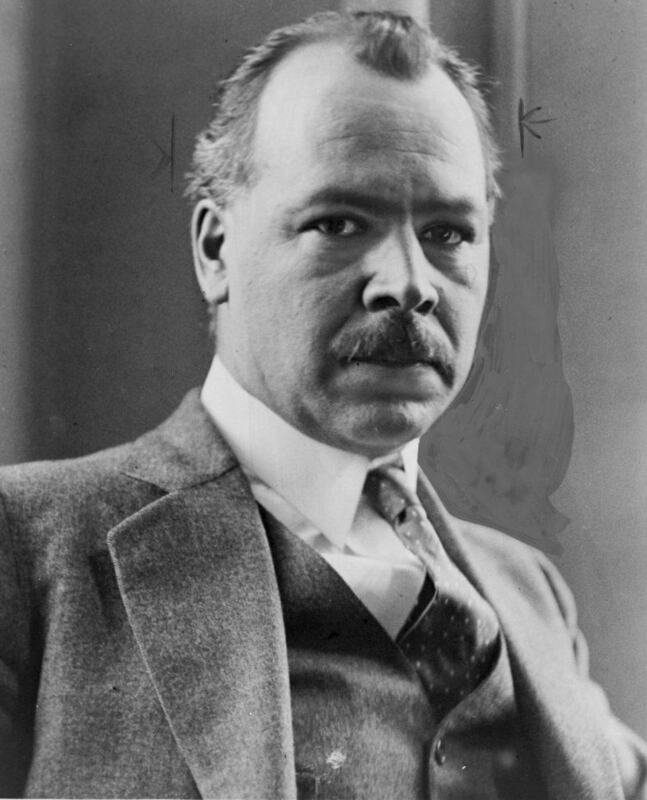 Much of what we know about the evolution of cannabis in this area is thanks to the Russian botanist and geneticist Nikolai Vavilov, who led the Soviet Research Institute in Applied Botany and New Crops between 1920 and 1940. It was he who, during that time, recorded the Afghani variety of cannabis, leaves with broad leaflets and a more compact plant structure. In fact, thanks to his travels throughout Afghanistan he made two divisions of this variety, the Afghanica and Kafiristanica sub-varieties, both encompassed in what we now call Cannabis Indica. According to several researchers, Cannabis Indica would have remained confined to the steep valleys of the Hindu Kush until well into the middle of the 20th century, so that most of the cannabis plants grown in Afghanistan itself and the surrounding countries were in fact Sativa varieties. The boom in hashish production during the 60s and 70s led to a much more widespread use of the Indica varieties from the Hindu Kush in both Afghan and Pakistani territory, as the yield was much higher in comparison. Logically, hybrids mixing Indica and Sativa would soon also be observed, often because of accidental pollinations between relatively close-by fields. For centuries, the hash produced in Afghanistan and Turkestan (now Uzbekistan) was considered the best in the world. Over the course of the 16th century, two main factors contributed to a dramatic rise in hashish production over Asia and the Middle East: one being the arrival of tobacco in Europe and Asia, and the other is the emergence of modern dry resin screening techniques. 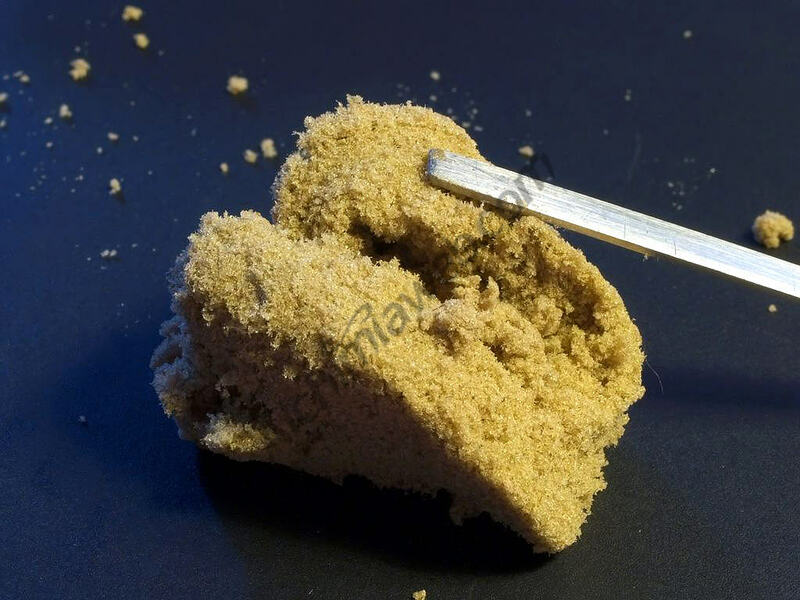 So, on the one hand the worldwide demand for hashish increased drastically, while on the other hand the new developments in processing methods meant that growing demand could be met. The Turkestan hash-producing areas of Bukhara and Samarkand gained a formidable reputation, with a product of such high quality that many of the end users in India (the largest market at that time) considered it the best ever seen. After a series of Russian invasions of the territory, from 1860 onwards much of the population of these two zones moved southwards, towards the northern zone of Afghanistan, or to the east, to the ​​Yarkand area. 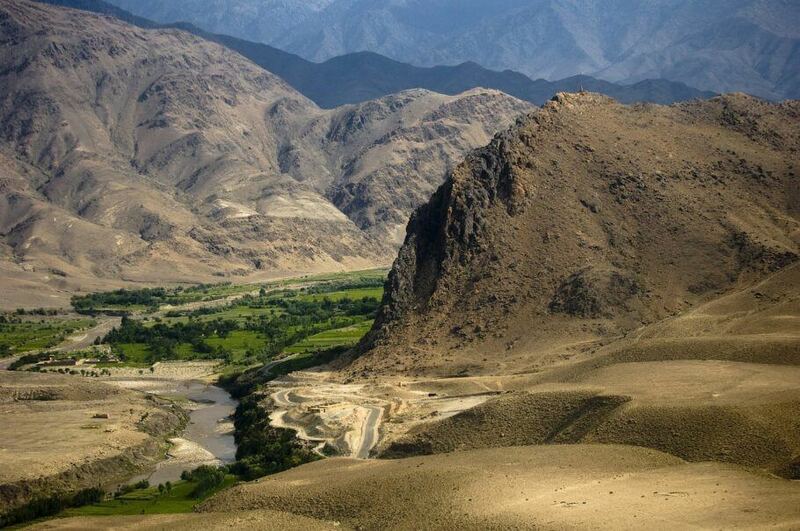 This led to a boom in the cultivation of cannabis and hashish production in this area of ​​the Afghan territory, where the locals soon learned the techniques of the Turkestan masters, who most likely brought cannabis seeds with them from the genetics they grew in their own areas. It is estimated that between 80,000 and 90,000 kilos of hashish were legally imported into India every year at the end of the 19th century, almost all from Afghanistan or Yarkand, in Chinese Turkestan. 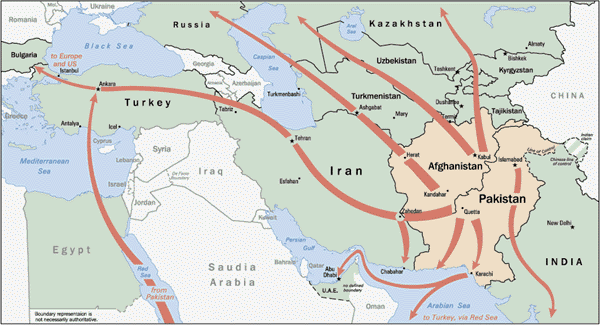 During the 1930s, another wave of immigrants came to Afghanistan from Russian Turkestan. The demand for hashish was now greater than ever, meaning it didn’t take long for cannabis farming to spread to the south of the country, along its borders with Pakistan to the east and Iran to the west. After the Chinese government prohibited cannabis cultivation in the middle of that decade, the Yarkand producers suffered the consequences and greatly reduced production, so that the Asian market was practically entirely in the hands of Afghan dry sift producers and Nepalese artisans from northern India, who continued to make charas (hashish made by hand-rubbing fresh, live flowers). Throughout the 60s, when the Hippie Hashish Trail was already in full swing, the best hashish that one could find in Asia (with the possible exception of the famous Nepalese Temple Balls) was from the Afghan areas of Mazar-i-Sharif and Balk, both to the north of the country. However, in 1973 the Afghan and Nepalese governments decided to ban cannabis, forcing a change in the situation, especially in Afghanistan. 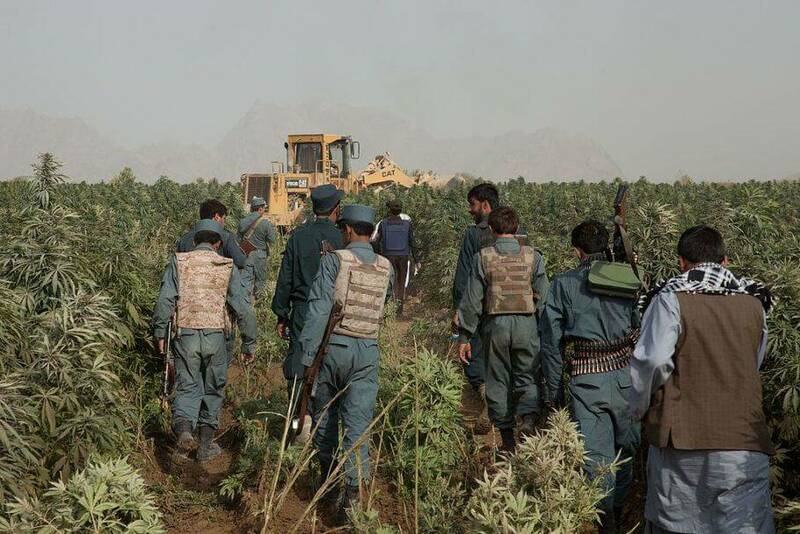 Towards 1980, when Afghanistan was once again starting to see vast fields of cannabis growing outdoors, the war with Russia broke out, meaning many producers and crops (and with them, their genetics) migrated towards the border area with Pakistan. So during the following years, much of the exported commercial hash came from Pakistan, which took over in terms of mass production of sifted resin. From 2001 onwards, following the overthrow of the Taliban regime, Afghanistan gradually returned to the forefront as the world’s leading producer of hashish and opium, which often share the same smuggling routes. This leadership remains to this day; According to UNODC data, Afghanistan produced between 1,500 and 3,500 tons of hashish in 2010, using an estimated total area of up to 24,000 hectares. This data contrasts starkly with the second largest producer in the world, Morocco, which with around 45,000 hectares had produced only 40 kg/ha compared to the 145 kg/ha obtained by the Afghan masters. It’s no coincidence that no other living culture is believed to have a greater tradition in the development of this resin extraction. As we’ve already seen, the majority of cannabis grown in this country is used for hashish production. Traditionally, Afghan hash is obtained by sifting the resin of dried plants through screens of various sizes. The product obtained is usually called “garda” and is classified according to the quality achieved. The traditional method of pressing is by hand, moulding the resin with the fingers and the palms of the hands (sometimes with the feet as well), and in many cases applying heat to soften the resin and make pressing easier. The dark, shiny blocks of pressed resin can take different forms and often come stamped with a seal particular to each producer, although this isn’t always the case. Many Afghans consume their hash mixed with tobacco, although traditionally they used hookahs or shishas, water pipes with a small reservoir of water through which the smoke passes, being filtered and cooled before inhalation. 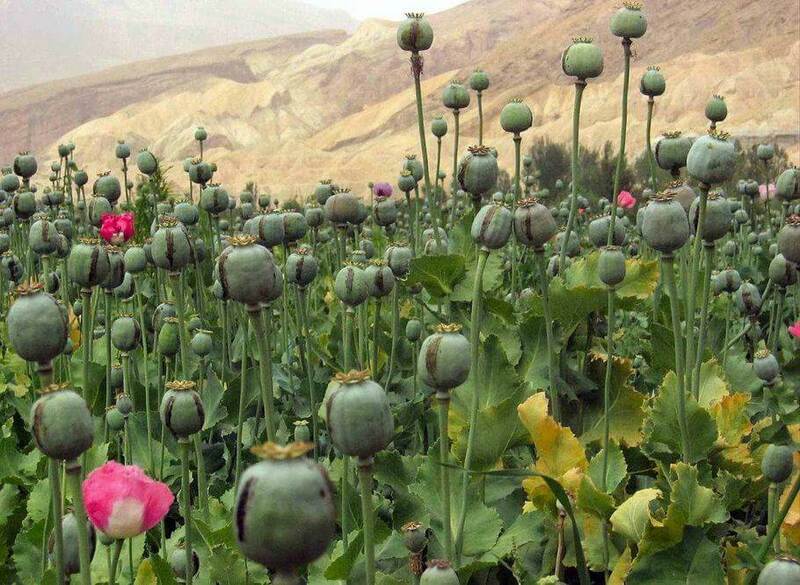 Over the years, fields of cannabis destined for hashish production are steadily increasing in Afghanistan, a trend that is displacing the production of opium from poppies due to its better yield and ease of processing. As we’ve already seen, Afghanistan possesses the world’s oldest culture of hash making, and is also the principal producer across the globe today, we dearly hope that this particular feature of Afghan culture is never lost to history! Thank you for a very informative article. I’m familiar with worldwide hashish production and use through the 1970s.It’s nice to read what is happening with Afghanistan hash more recently. Joe. Hey Joe, thanks a lot for the kind words, we really appreciate it! All the best. Great information..Thanks for this information.